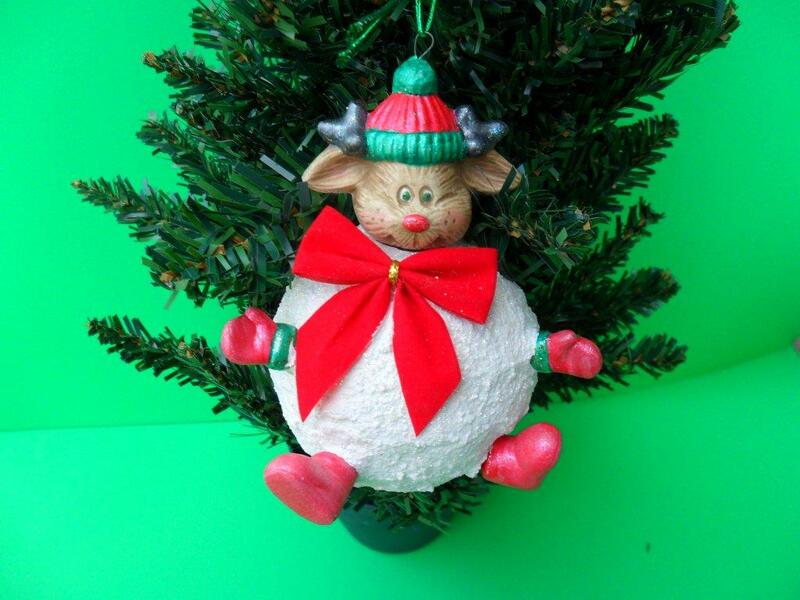 Cute one of a kind hand painted "snowed-in reindeer" Christmas ornament. Hand painted ceramic head, hands, and feet. 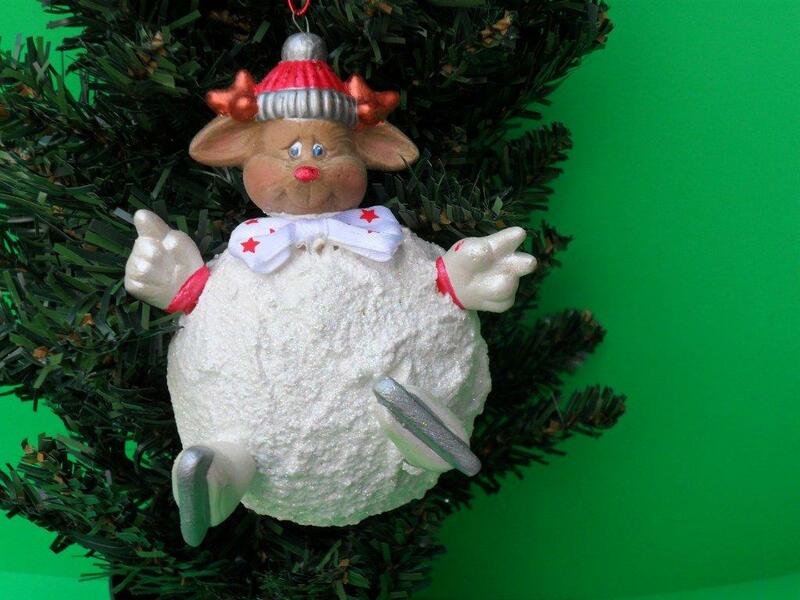 The ball is made with Styrofoam and is finished with faux snow covered in glitter. 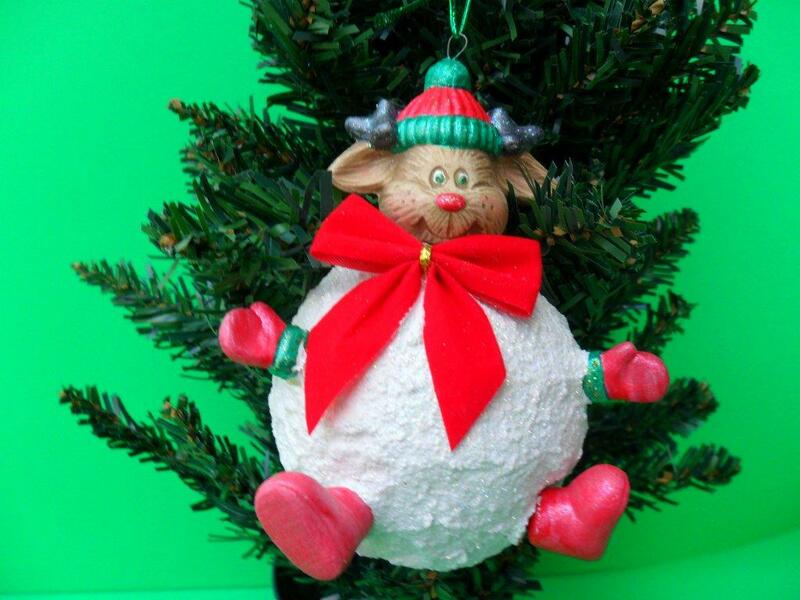 Each reindeer snowball is unique! 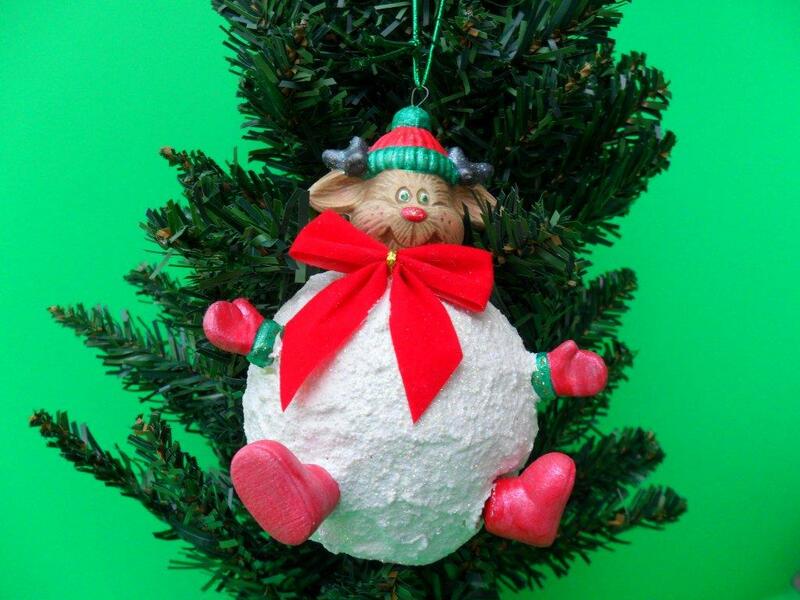 **I hand make them in my shop: we pour the mold, sand the item of any imperfections, and then fire in one of our studio's kilns. 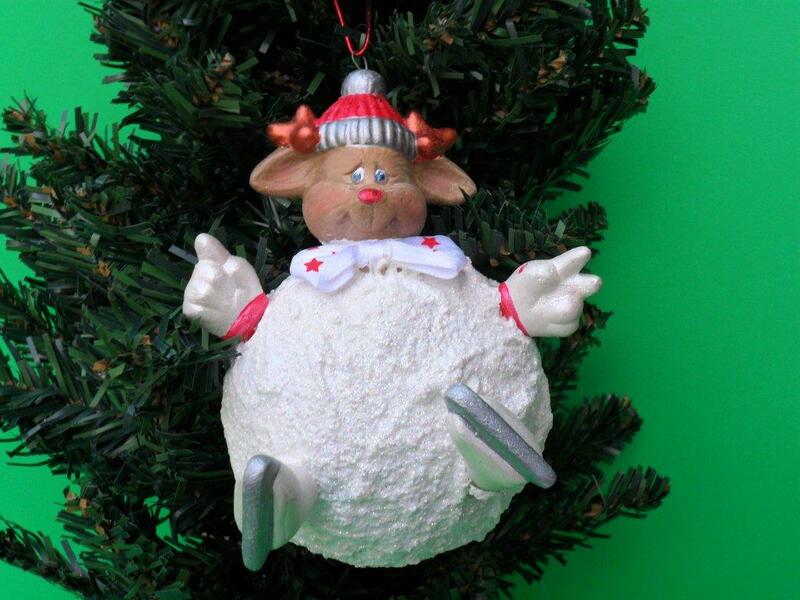 The head, hands and feet are fastened into the Styrofoam ball, which is then covered in faux snow and glitter.